Dr. Dean Ornish proved decades ago that heart disease could be reversed solely with diet and lifestyle changes. In the end, my grandma’s miraculous recovery from terminal heart disease through diet and exercise—remarkable as it was—was just one anecdote among many. Though it inspired me to pursue a career in medicine, I’ve always had a skeptical streak, and just wasn’t convinced until Ornish’s landmark study in 1990 clobbered me over the head with enough science to change my own diet forever. Pritikin had been reversing heart disease with a plant-based diet for years before Ornish came along. But here it was, in black and white, in one of the most prestigious medical journals in the world. Ornish proved you could not just slow heart disease—our number one killer, not just stop heart disease in its tracks, but actually reverse heart disease, open up clogged arteries—and without drugs, without surgery. Since then, millions upon millions have died totally unnecessary deaths. If my grandma didn’t have to die like that, no one’s grandmother has to die. We have the miracle cure, yet hardly anyone knows about it. Wait a second, though. If we can reverse heart disease without drugs, without surgery, then great. Doesn’t that mean we can eat whatever the heck we want, and then, as soon as we start feeling some chest pain, we can get with the program, eat as healthy as we need to, and open our arteries back up? Getting to enjoy not only our grandchildren, but also happy memories of years of bacon and eggs, cheese, and fried chicken. Here’s the problem with the plan: sudden cardiac death. Our first symptom may be our last. Ornish D, Brown SE, Scherwitz LW, Billings JH, Armstrong WT, Ports TA, McLanahan SM, Kirkeeide RL, Brand RJ, Gould KL. Can lifestyle changes reverse coronary heart disease? The Lifestyle Heart Trial. Lancet. 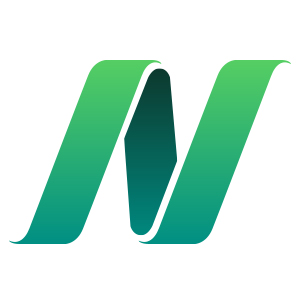 1990 Jul 21;336(8708):129-33. Republishing "Our #1 Killer Can Be Stopped"
This is a continuation of a theme I started in yesterday’s video about my personal journey into medicine. Be sure to check out my other videos on heart health and heart disease. For more context, also check out my associated blog posts: Watermelon for Erectile Dysfunction; Heart Disease: there is a Cure; Magnesium-Rich Foods to Prevent Sudden Death; Eating To Extend Our Lifespan; Cancer-Proofing Your Body; and Is Coconut Oil Bad For You? This is a continuation of a theme I started in yesterday’s video about my personal journey into medicine. Please feel free to post any ask-the-doctor type questions here in the comments section and I’d be happy to try to answer them. Be sure to check out the other videos on heart health and heart disease. Also, there are 1,449 subjects covered in my other videos–please feel free to explore them! I was born with a Pulmonary Valve in need of repair (they called it Cardio Pulmonary Stinousis) in Syracuse, NY 1950 & had surgery on the valve in 1959. Fortunately Cholesterol has never been an issue. High numbers for good Cholesterol, Low numbers for bad is what they tell me. For the last 18 months or so I have been drinking Non Pasteurized, Non-Homogenized Raw milk it tastes great and my heath #s has remained the same- its full fat just like the Yogurt I have Always eaten. My problem is my valves Pulmonary & Aorta are at 50 – 55% leaky with regurgitation, I want to look at new valves my Cardiologist doesn’t. Because of my over all health no plac etc. he wants to keep things the same. What would you recommend I do? I do have AF controlled by meds. I have been preaching this for months now! Cardiologists and doctors don’t seem to know about this, or believe me when i tell them heart disease is reversible. These pioneers deserve a Nobel prize in medicine. God only knows the countless people who are alive today because of them. That a plant-based diet is the best for our health is beyond any possible doubt. That is can even reverse heart disease has been demonstrated by the pioneer studies of Colin Campbell, Caldwell Essenstyn and David Ornish. However, there is point in their recommendations that I find very hard to understand (and thus to accept). They insist on a very low fat diet from which any type of added fat is eliminated, even olive oil (rich in monounsaturated fatty acids: MUFA) and flax oil (rich in omega-3). A diet very low in fats means very high in carbs (sure, unrefined complex carbs). Now, there is plenty of studies in peer-reviewed journals showing unambiguously that a high-carbs diet results in reduction of HDL-cholesterol without significant change in total cholesterol and increase of triglycerides; when you add that the main fate of the excess carbs is stored as palmitic acid, the most atherogenic saturated fatty acid, one must have some doubts about the recommended diet. It seems to me that the type of fats are much more important than the quantity (when the latter is reasonable, of course). A high proportion of MUFA, as provided by olive oil (which contains also squalene, a powerful antioxidant) or canola oil, with a good amount of omega-3 (flax oil, walnut oil; the latter has much less omega-3 however) sounds definitely more reasonable than a diet containing 75% carbs or more. I asked the Campbell foundation, no answer. I asked vegsource after reading an article about Essenstyn’s diet, I got unconvincing answers (no biochemical explanations, just “it works that as they say”). I’m vegan, I read the China Study and I’m reading Essenstyn’s book, as well as hundreds of studies and books. I can’t, so far, get any convincing support to the low fat theory. There are 2 reasons to avoid oil. Thank you for your reply, Toxins, but I would like somebody to explain me how a 75% or more carbs diet can be healthier when it increases triglycerides and palmitic acid and lowers HDL cholesterol. Unless you want to trash hundreds of studies showing that these parameters are strongly correlated to CVD. I keep on getting the same arguments, but never an answer to these objections. If you are still not satisfied, I highly recommend contacting Jeff Novick by posting in the McDougall forum. Jeff Novick will respond to any questions you pose. I know what you mean. I was surprised when I watched the CNN special online [sanjay gupta all about the China study and the Esselsteins etc], when one lady who was on the diet explained how she’d adapt her salad to avoid the walnuts as they had fat in them. Sounded extreme to me. Anyway, have you seen this study? http://care.diabetesjournals.org/content/29/8/1777.full.pdf+html. Diabetes patients put on a LF vegan diet with 75% CHO OR put on the standard ADA diet [normal %CHO]. TRIGs DROPPED in both groups after 22 weeks. HDL decreased in BOTH groups. So, theres an example that it seems we cant blame the 75% CHO for the trigs and HDL issues – from this study anyway! I am continually doing research on nutrition and it appears there is good reason to avoid nuts if one is at high risk for heart disease. Nuts are mostly fat, and all the studies showing its benefits were with 1-1.5 oz per day or 5 oz per week. I had not taken note of that amount. I strive to keep my saturated fat intake to 5 grams or less per day. For this to be achievable, nuts should be limited. Its so amazing how these diseases can be reversed! For some context, please also check out my associated blog post Watermelon for Erectile Dysfunction! Can be stopped, could be reversed, in yourself perhaps, but in some others their free will and lazy mental attitude got them to where they are. It is so much easier to buy gym equipment to stare at and collect dust while popping pills. Will the human nature of some ever be overcome? I came to this page linking from a page where you speak about the evils of coconut oil. Charging coconut oil advocates with using beef industry tactics by comparing coconut oil to butter, but this is the way some people live, they do eat butter. What would you suggest to get a somewhat demented poorly self managed diabetic under control? Please explain why caffeine (coffee, chocolate…) should be avoided. I am more interested in specifics rather than generalizations. Thank you. 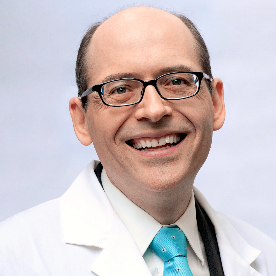 Dr Greger, I am interested in your evaluation of the following study: Effects on coronary artery disease of lipid-lowering diet, or diet plus cholestyramine, in the St Thomas’ Atherosclerosis Regression Study (STARS) Lancet. 1992 Mar 7;339(8793):563-9. Does this study lend evidence that using diets other than Ornish or Esselstyn style low-fat vegan diets can halt or reverse coronary artery disease? This study was brought to light by Stephan J Guyenet, PhD, University of Washington. who spoke at McDougall’s Advanced Study Weekend this September. My grandfather used to say that vinegar would cure gall bladder disease. I’m vegan and I’m convinced of the overwhelming evidence presented here and so widely in fact I was lucky enough to see Dr Greger in London last week – he was brilliant! In regards to this paper (Can lifestyle changes reverse coronary heart disease?) I shared a link with a doctor friend of mind who asked to learn more and he mentioned that Ornish’s paper looks at a vegetarian diet, not vegan/plant-based. In addition there’s all the other interventions that take place so my doctor friend’s response was that it could’ve been due to the multitude of other lifestyle interventions. How should I respond to this? As a lay person I also don’t have access to all the medical journals – can anyone recommend any source papers (preferably published/peer-reviewed) that I could share with my doctor friend? I would also point out that Ornish’ diet is not 100% vegan, but I think it is largely plant based. It stresses the whole plant foods, not diary or eggs. And there are some other videos highlighting studies on this site which attempt to tease out what has the effect. For example, check out this video: http://nutritionfacts.org/video/is-it-the-diet-the-exercise-or-both/ Which isn’t to say that exercise is not important or that Ornish’s other interventions were also not important. But to say that diet was not part of Ornish’s success seems like denial to me. Rowena: Also note that you can learn more about Esselstyn here on this website: http://nutritionfacts.org/?s=esselstyn Videos-of-the-day include links to “Sources Cited”. So, you may be able to find Esselstyn’s papers that way. Good luck!